No one showed up until the end of the mash. 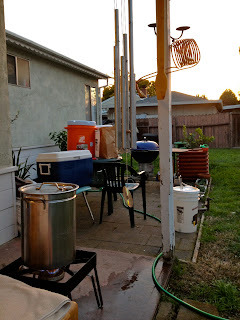 I had a lot if time to reflect on my brewing, my life, and all sorts of other crap like that. I received a 10-gallon cylindrical cooler for my upcoming birthday (thanks mom) but I'm still lacking the false bottom (on its way) so I used it as my HLT. A few more folks showed up and enjoyed some of my soon-to-be-famous jalapeño and cream cheese-stuffed bacon-wrapped brats. So why am I such a badass? Well, if you recall my carboy catastrophe, it was up in the air whether or not my strong dark belgian would survive. Turns out, it's one of the most delicious beers I have ever consumed- and all my friends agree. Dark, luscious, raisin-y, malty goodness. The super-high ABV is noticeable, but unobtrusive. 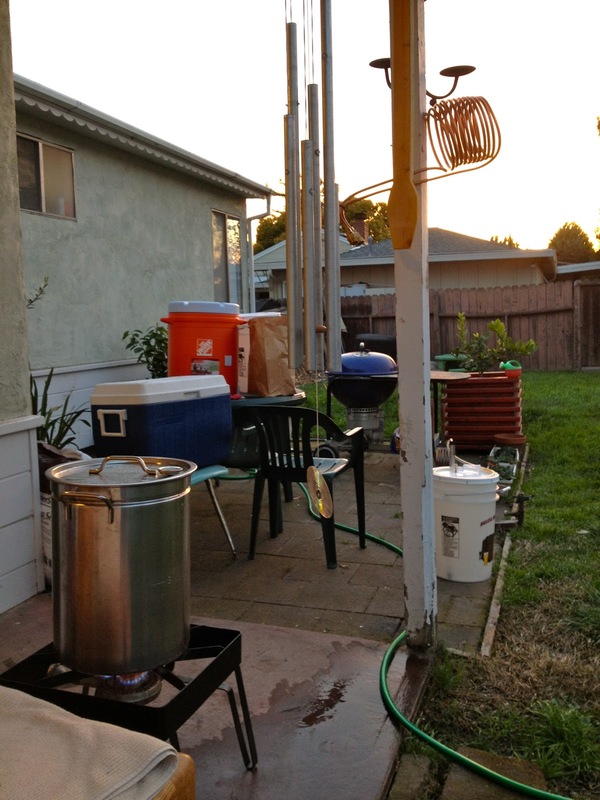 We are getting through the keg rather quickly, so I feel the pressure to brew it again soon. Pour a few for me. You are such a badass. I need to observe this badassitude it it's native environs.